We have handpicked some of the best TVs deals that are currently going on the Amazon Freedom Sale. The Panasonic full HD TV is available on the platform with a 63 percent discount, while the Sony 49-inches 4K TV is priced at Rs 75,990 in a deal. The Amazon three days long Freedom Sale is offering more than 20,000 deals on smartphones, laptops, TVs and more. 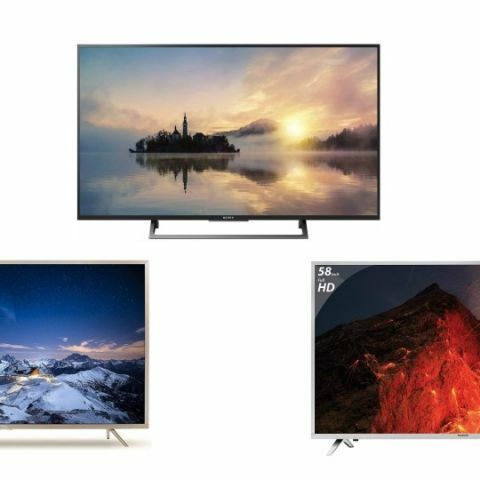 The sale started today at 12 AM and unveiled a great number of deals on 4K TVs, full HD TVs, and Smart TVs. The sale has a lot of amazing exchange offers and cashback on selected products. Without adding further, let's just take a look at the TVs that are available with a big discount on this sale. The Panasonic Full HD LED TV offers a resolution of 1920 x 1080 pixels with a panel size of 49-inches. The TV comes with Dolby digital sound surround audio. It has three HDMI ports and two USB ports to connect external devices like flash drive, Fire TV stick, set-top box and more. Click here to buy. The BPL Full HD LED TV offers a resolution of 1920 x 1080 pixels with a panel size of 43-inches. The device has three HDMI ports, two USB ports, and one audio jack to connect an external speaker or a headphone. Click here to buy. The TCL 4K UHD LED Smart TV offers a resolution of 3840 x 2160 pixels with a panel size of 55-inches. The TV is powered by the Android 5.1 and comes with an app store that lets you download apps like Netflix, Youtube, Sony Liv and more. The TCL application also allows you to control the TV via smartphone or tablet. Click here to buy. The TCL Full HD LED Smart TV offers a resolution of 1920 x 1080 pixels with a panel size of 49-inches. The TV also features a Bluetooth connectivity which lets you connect devices like a wireless speaker, BT headphone, and more. As it is a Smart TV, it also allows you to download apps like Youtube, Netflix, Hotstar and more. Click here to buy. The Sony 4K UHD LED Smart TV offers a resolution of 3840 x 2160 pixels with a panel size of 49 inches. This Android 4K TV comes with an advanced voice control feature, which lets you find movies and shows easily. Click here to buy.